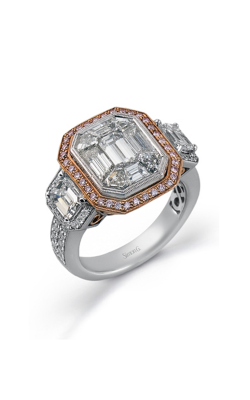 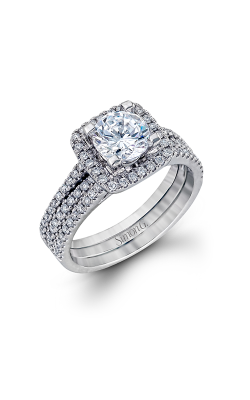 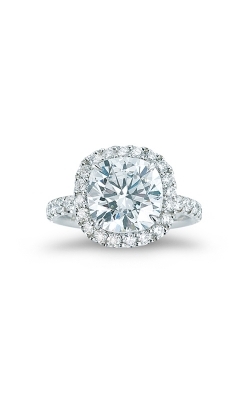 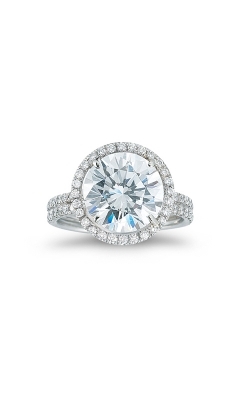 Halo engagement rings have been a popular style since the Victorian Era. 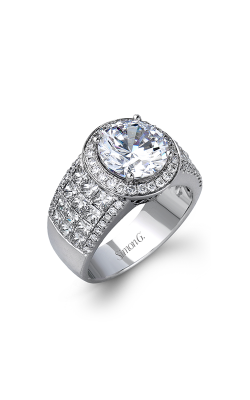 But far from being vintage in themselves, halo rings remain timeless and constantly in vogue thanks to their beautiful appearance and versatility. 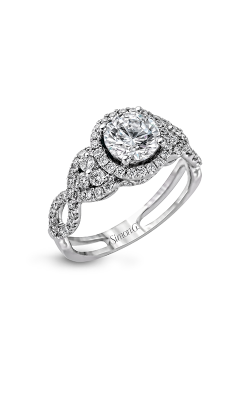 Here at Merry Richards Jewelers, we have a brilliant collection of halo engagement rings from the top designers in the industry, their styles, precious materials, and halos bringing the valley between the classical and the hypermodern. 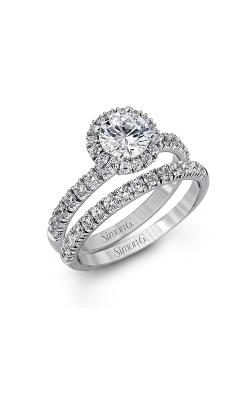 You’re sure to find a ring you adore when you shop with us. 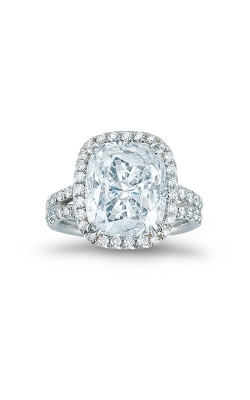 One of the most delightfully vintage designers of halo engagement rings is Christopher Designs. 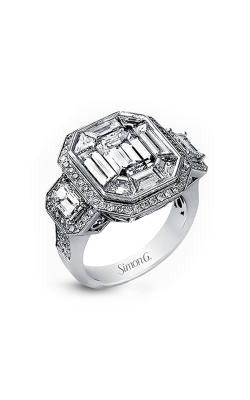 Their Crisscut Asscher collection, named for the iconic cut of diamond that enraptured the 19th century, has a halo made of baguette-cut and trapezoid-cut diamonds so well-fitted that they create the breathtaking appearance of a frame of pure diamond and light around the center asscher diamond. 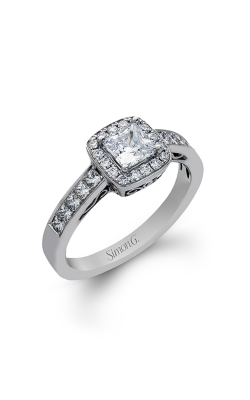 With 18k white gold that mimics the vintage elegance of platinum settings, the curious elegance of bezel settings, and dainty milgrain beading, Crisscut Asscher is a halo engagement ring collection that celebrates the modern neo-vintage. 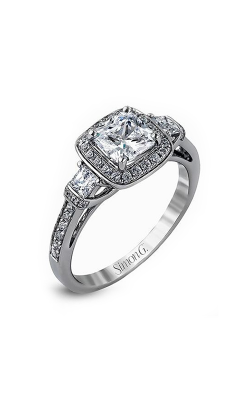 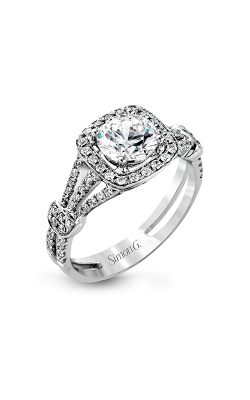 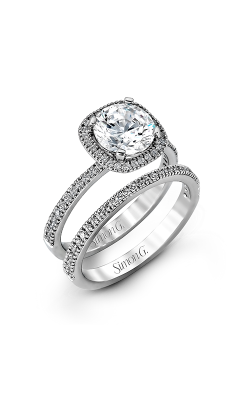 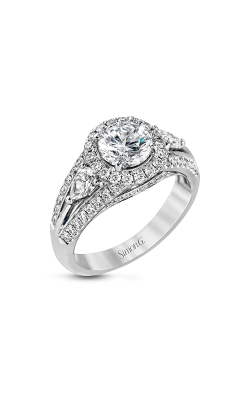 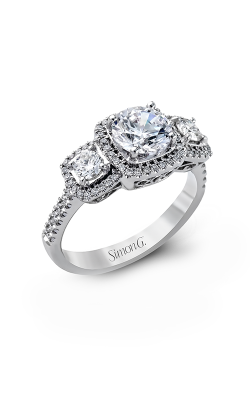 If you’re a lover of pairing a flawless white center diamond with spectacular color, turn to Simon G. Their Mosaic and Passion collections add a dash of saturated rich color to their halo engagement rings. 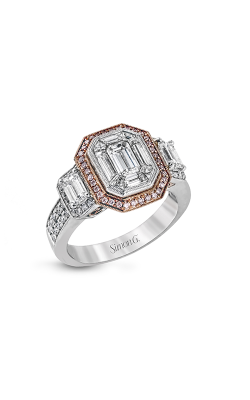 The Mosaic collection, named for the interlocked puzzle of glitzy diamonds making the appearance of a single stone, features halos of beautiful colored diamonds, including cherry blossom-pink diamonds in an 18k rose gold frame. 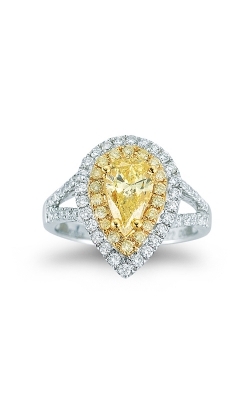 And whether you like canary-yellow diamonds or the cool perfection of sapphires, Passion halo engagement rings set the lustrous color of these jewels in a substantial crown around the round-cut center diamond. 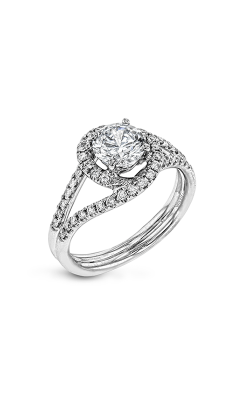 Why Shop for Halo Engagement Rings at Merry Richards Jewelers? In 1985, we began solely with loose diamonds and settings, but today, Merry Richards Jewelers is the area’s top retailer of halo engagement rings. 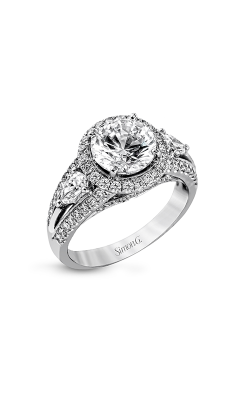 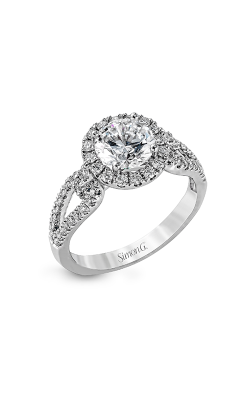 But our selection of engagement rings doesn’t end with the halo style—we carry solitaire engagement rings, three stone rings, and side stone engagement rings. 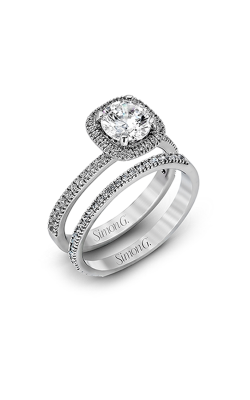 If you’re looking for wedding bands to complete your bridal jewelry set, we have selections from the top designers in the industry. 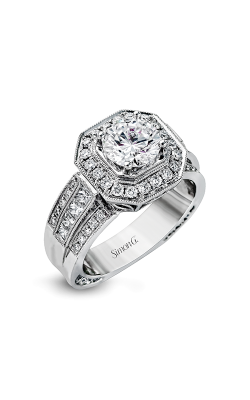 Alternatively, if you’re looking for Swiss-quality timepieces or fashion jewelry, we’re here to help. 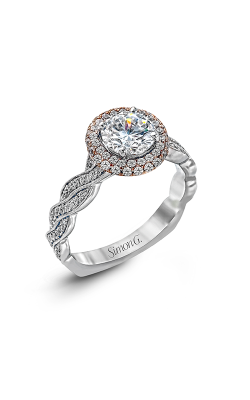 For more information about our jewelry or services, contact us at 1-630-516-8000 or visit our Oakbrook Terrace, Illinois showroom today!